As one of the most iconic rounds throughout the United States, .45 ACP ammunition embodies the spirit of everything that it means to be an American. 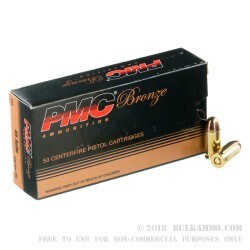 The PMC 230 gr. 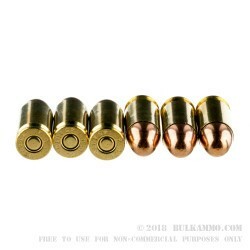 45 ACP Full Metal Jacket is a great range training ammunition for three gun and other competitive shooters looking for a quality range training ammunition at an economical price. The 230 grain full metal jacket rounds fit smoothly into polymer and 1911 style semi automatics with even the tightest of match tolerances. 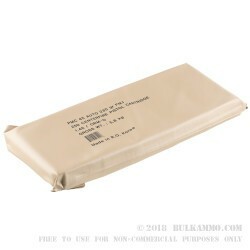 A thick electro plated copper jacket mitigates the loss of bullet weight retention upon impact, and reduces frangible bullet splatter upon striking steel faced targets. 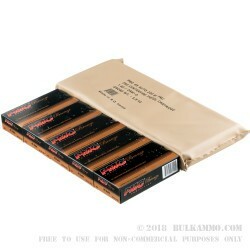 Boxer style primers burn hot and reliable across various climates and levels of humidity, and are easily removed during the reloading process for shooters interested in reloading the once fired brass. At an average muzzle velocity of 705 feet per second, the PMC 230 gr .45 ACP FMJ rounds are ready for suppressor based applications right out of the box, and can be adopted to a variety of shooting styles and needs throughout your training cycle. 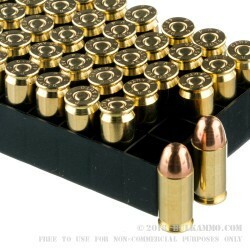 Competition shooters looking a range ammunition as dedicated to their training as they are will be well equipped with the PMC 230gr .45 ACP FMJ. A: Hello! 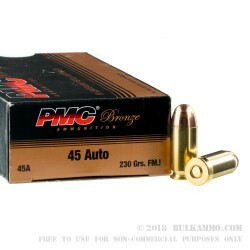 PMC lists the muzzle velocity of their 230 gr .45 ACP round at 830 fps. They list the muzzle energy for this round at 352 ft. lbs.